This Eastwood hotel offers an extensive menu for its guests. Choose from an international selection of meals, or simply enjoy the familiar Filipino dishes. 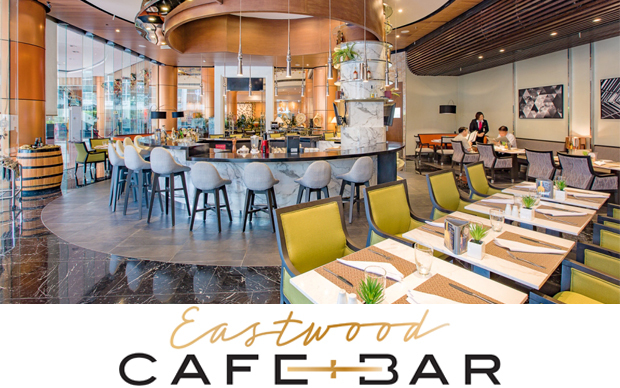 Located at the ground floor of the hotel, enjoy no-frills dining at its finest at the newly renovated Eastwood Cafe+Bar. The restobar offers all-time favorite local and international dishes from morning until night and provides guests with a hot spot for casual meetings with business associates or meet ups with personal pals. And at night, expect an even cozier ambience as it transforms into an ideal setting for an after-work hang-out or nightcap, while enjoying good company, fine drinks, and tasty chow.